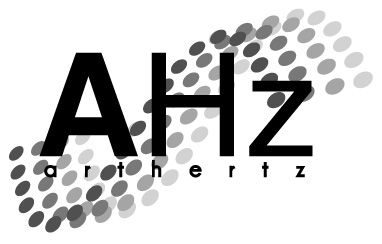 ArtHertz is a multimedia arts organisation that collaborates with artists to produce site-specific exhibitions and events by interpreting and interacting with the stories and atmospheres that emerge. ArtHertz actively sets out to work across artistic boundaries with an emphasis on creative applications of technology, working with artists who transcend the traditional expressions of visual, auditory and time-based media. ArtHertz was founded in 2007 by Creative Director / Co Curator, Dennis Da Silva. He is a director, writer and producer of short art / experimental film alongside commercial promos for the Dairy Council, promoting the benefits of heathy lifestyle and diet to teenagers. He is also a DJ / remixer and has played at EGG, Heaven, Pascha, the inaugural Durham Arts Festival, film festivals, Party Monster Premiere and Liverpool Sound City Festival on stage with electronic music pioneer, John Foxx. Beverley Bennett is Creative Director and Co Curator or ArtHertz and worked alongside Dennis on events since its founding in 2007.